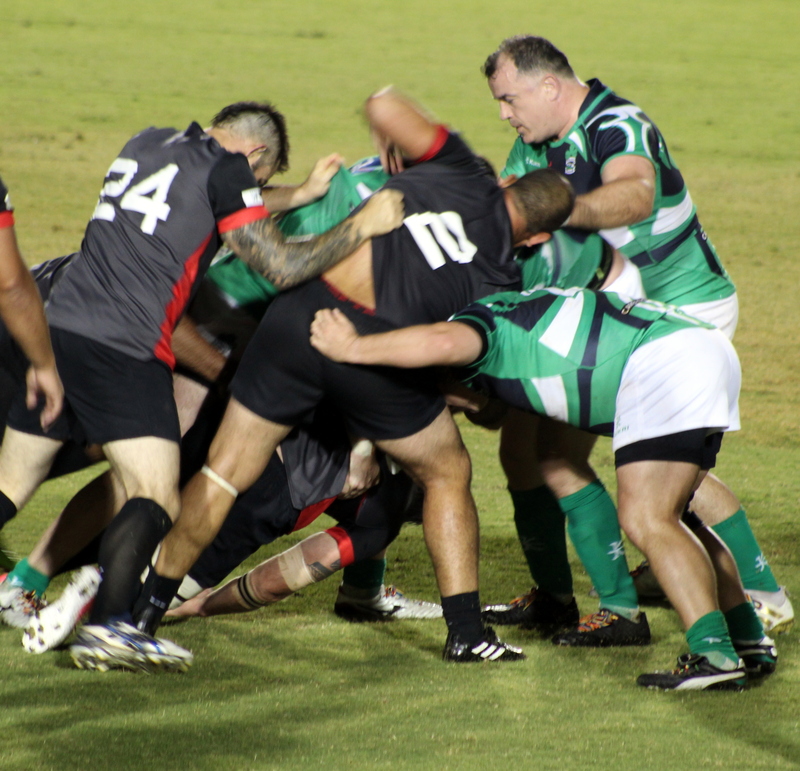 A total of 44 points were scored on First Semi-Final Night at the National Sports Center as the Bermuda Rugby Classic continued. In a tightly contested match Ireland who have not played in the tournament for 25 years advanced to the final with a 3 point win over Canada 10 – 7. Ireland would get on the board first in the first half with a Try from Gary Brown, Fergal Campion would kick the Conversion from an angle to make the score 7 – 7. Early in the second half the Canadian crowd would come to life when Tyler Haws went over and when Derek Daypuck kicked the Conversion it drew the teams level at 7 – 0. As time was drawing to an end Campion would take a chance and kick a Penalty from just inside his half and it was good for Ireland to lead 10 – 7, Daypuck tried his luck for Canada from near the halfway line but his attempt came up short. France advanced to the Plate Final with a hard fought 17 – 10 win over South Africa. France would get 2 Try’s from Thomas Soucaze, while Maxime Petitjean would kick 2 Conversions and 1 Penalty, while South Africa would get a Try from Darren Nel and a Conversion and Penalty off the boot of Monty Dumond.